Every square inch has been designed to improve your safety & help you perform at your peak. When maximum water flow and payload are essential, the Pierce platform product is your choice. Every square inch has been designed to improve your safety and help you perform at your peak. 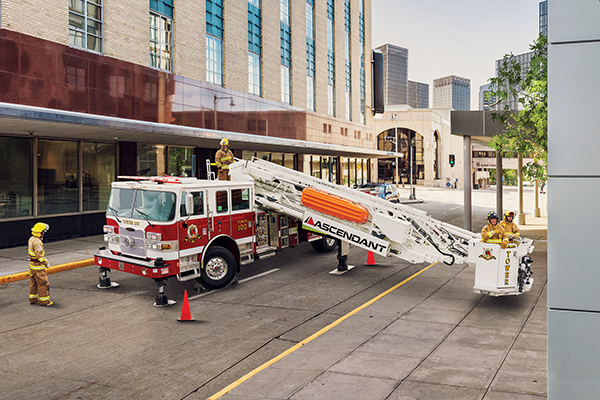 The Pierce basket leveling system allows for smooth, precise leveling throughout the full range of aerial operation, making it easy to transport firefighters and victims. Easily access the basket from the ladder. A fully illuminated basket interior lets you see what you’re doing.